Ha! 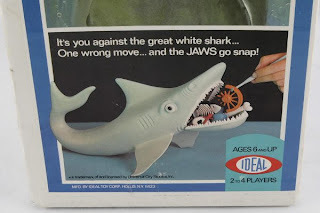 My grandfather worked for Ideal, I had this game, LOL! I don't remember this one at all! Of course there is nothing really memorable about this game. 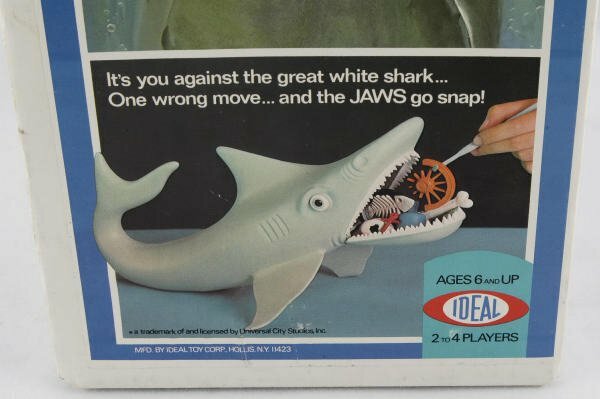 Is it just me or does this Jaws Look like a love child between the real Jaws and Flipper? Oh my gosh, I want this game! !